Ooma wants to help small businesses present a more professional image and run more efficiently while simultaneously saving them as much as 75% on their phone service. Already, Ooma Office phone service provides big business features like a virtual receptionist and the flexibility to use inexpensive analog phones and fax machines as well as mobile phones, giving employers an easy way of supporting both in-house and remote workers. 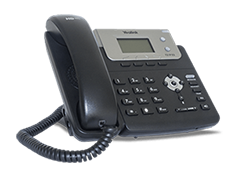 Some of our customers have expressed the desire to use IP phones, in addition to analog and mobile phones, as their businesses grow. We believe all businesses should have the flexibility to choose solutions right for them and that’s why Ooma Office now supports three popular IP phone models, including Cisco SPA303, Cisco SPA 504G and Yealink SIP-T21P E2. The IP phones will be sold exclusively by Ooma as part of the Ooma Office phone system. 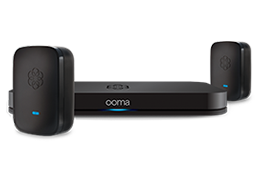 In addition to standard features such as caller ID, call waiting, call waiting caller ID, three-way conference and a message waiting indicator, Ooma Office’s IP Phone integration also includes advanced features such as blind transfer (1-step transfer), supervise transfer (2-step transfer), extension dialing and Do Not Disturb. It isn’t a coincidence that Ooma Office was recently named best business VoIP service by PC Magazine for an unprecedented three consecutive years and we couldn’t be prouder to provide small businesses with enterprise-grade solutions and advanced features that allow our customers to maintain a high standard of professionalism as they pursue their dreams and create jobs, without the high cost. For more information about Ooma Office visit: https://www.ooma.com/small-business-phone-systems/.